There’s nothing quite as relaxing as walking along the beach, but not all beaches are meant for barefoot walking. Remember how painful it is to stub your toe? Imagine just how even more painful it is doing that against a sharp rock. The pain can really ruin a day that should have been spent soaking in the scenery and the sun. That’s why bringing the best water shoes for rocky beaches with you when you know you’re going to do some exploring, hiking, or even just sunbathing is always a good idea. There are so many options on the market though so it can be hard to choose what to buy. That’s why we have this guide. Here’s a rundown of our top picks. ​​Aleader has a made a reputation for itself as a premium brand of water shoes meant for those who love the outdoors, and this is apparent in their range of slip-on shoes for men. Your feet are protected, thanks to ample cushioning and excellent bounce-back. 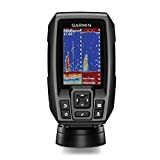 The nice bounce back makes it perfect for long walks and exploring rougher terrain. 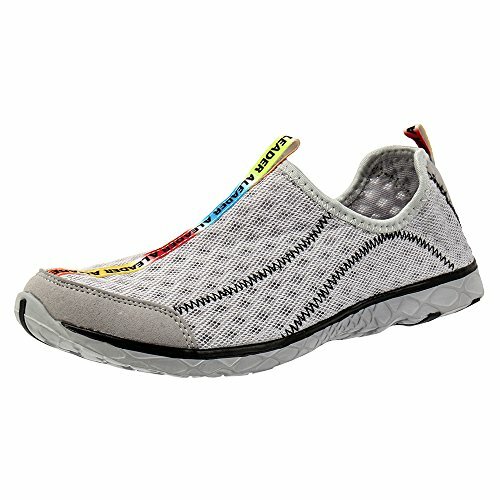 ​The Aleader Men's Mesh Slip-On Water Shoes provide excellent drainage. The durable open mesh upper is engineered to be hydrophobic and there’s a hole on the outsole for faster water drainage – a handy feature because walking on a waterlogged shoe is ​certainly not fun! The ComforDry sockliner feature helps keep the insides drier, which makes for a healthier, cooler, and less smelly shoe environment. The Water Grain outsole provides solid traction, and the rubber pods in areas that are the most often in contact with surfaces make the grip even better and the shoes more durable. Users rave about how these water shoes are unbelievably comfortable to wear. The material is also great for people who get blisters easily. 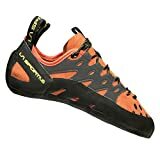 It’s one of the best-selling water shoes ​because, for its price, you’ll get footwear that looks and feel like sneakers and still benefits from the traction and protection of water shoes. ​​​This brand is not as well-known as other water shoes brands in the US but their design can wipe the floor with the best of the best. 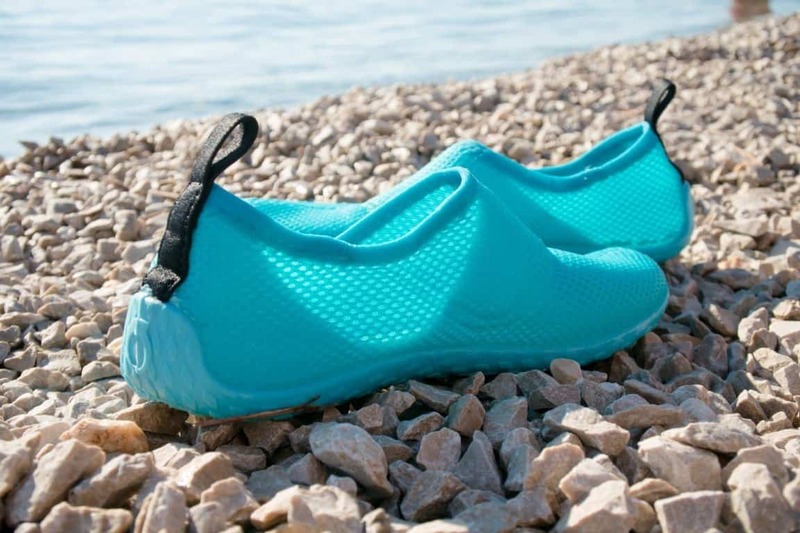 The upper fabric of the Mishansha Water Shoes doesn’t just look stylish – it’s also salt-resistant and wear-resistant. It’s ultra-light and it’s made of spandex so it can stretch to fit your foot like a glove. The upper material is also engineered to be breathable and fast draining. Its anti-slip rubber soles have holes at the bottom for water drainage and ventilation. The heel has a pull tab that makes it easy to put on and remove the shoes. Its elastic strap automatically adjusts itself to the width of your foot and eliminates the inconvenience of having to tie your shoes. 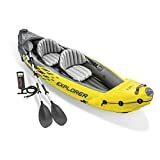 This is ​a well recommended pair for kayakers but it’s ideal for practically any activity that involves water – including swimming, surfing, and kayaking. It also functions well as deck shoes so you can wear it for boating and sailing. Many people love the color options and how ​well it fits their feet​. Users also love it that you can easily put it on because sometimes, you just want to feel the beach with your feet. ​The Merrell All Out Blaze Sieve Water Shoes ha​ve a TC5+Vibram material for its outsole. This material is trekking grade. 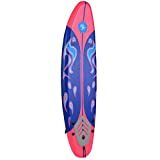 It’s designed to give great traction on different kinds of surfaces. It has high abrasion resistance. This material is legit: the first guy who was able to summit K2 wore shoes with Vibram. 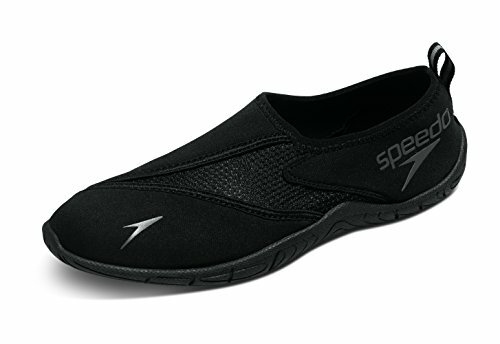 The upper is made of waterproof leather, and inside is a Neoprene liner that keeps the water off and your foot warm. The holes and UniFly midsole provide good water drainage to help dry your feet fast. The adjustable lace design makes it easy for you to tweak the fit and shake off pebbles and sand if you need to. 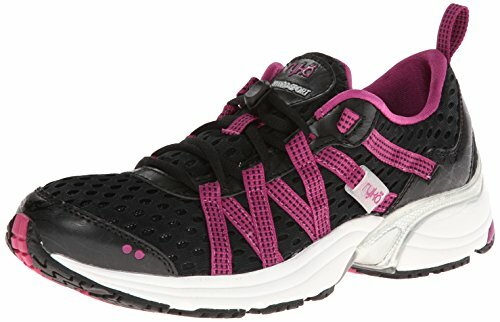 ​Those who like hiking love these shoes. Users loved how it made them a land-and-water juggernaut. Whatever terrain you might face, you can be sure that this pair would hold up. The Vibram soles make this pair a winner. If your foray to the rivers or beaches is just part of an itinerary which involves a whole lot of trekking, this is the pair you should be looking at. It has a durable four-way stretch upper which makes it easy to wear and take off as needed. The mesh construction of the upper material also offers a stretchy and secure fit. And the air mesh insert panel can speed up drying while providing you with maximum comfort. The rubber outsoles lead water away from the outsole and provide enhanced traction. Users took note of the fact that it doesn’t have drainage holes but don’t worry because it doesn’t mean they’ll be waterlogged – the fit is tight and the quick drying material doesn’t absorb much water. Unlike many other water shoes, they do not come with half size options. ​RYKA has always specialized in sport’s shoes for women and based on sales and customer feedback, t​he RYKA Hydro Sport did not disappoint. It costs more than the other shoes of the same kind, but that’s reasonable considering that it can be used as a training shoe. It has a Speed lace system with a toggle to make it easy to wear the shoes or take them off. It has a textile lining, padded collar and tongue for added comfort. The webbing midcourt cage is designed to give medial and lateral support. The webbed lacing system also lets you adjust the sides to fit your foot better. Its sticky rubber outsole has drainage ports to give better traction on wet areas. ​​The chlorine resistant material means that not only is this pair great for rocky beaches – you can also wear them to the swimming pool. It lasts longer and provides better support than most water shoes for women. If you think any shoe would be just fine in the water, you’re going to be in a whole world of pain when you go trekking, creeking, or exploring rocky beaches. Rocky surfaces are no joking matter. If you ever injured your foot stepping on sharp rocks or slipped on a wet surface, you already know how important it is to wear the right shoes. The main purpose of water shoes is to protect your feet against sharp objects and hot surfaces. Water shoes also dry quickly, preventing the accumulation of harmful microorganisms. If you tend to trek for extended periods, you have to wear the right shoes to prevent serious problems like trench foot. Water shoes make use of breathable materials. The manufacturers commonly use mesh material to help your feet remain cool and dry. The mesh material also provides better drainage than ordinary shoes when they are taken out of the water. The material can also help keep your feet warm. Remember that the cold and poor circulation may affect your safety and performance. It is typical for regular shoes to get heavy when soaked. If you wear them when you swim or walk underwater, they get waterlogged and the heaviness will hamper your movements. You will have to exert so much effort just to move. Water shoes provide optimal traction to help you keep you on your feet while you tread a rocky or slippery surface. The rubber outsoles of water shoes are intended to provide better grip on slippery surfaces. Just remember that slip-on styles are suitable for regular water activities such as swimming. If you need to trek through creek beds, streams, or trails, you need to wear the lace-up water shoes for more ankle and arch support. Wearing the right gear helps make sure that you perform at your peak. With the right shoes, you can walk longer without your knees giving out, developing blisters, or losing your balance. Is it important to own a pair of water shoes? It is if you spend a lot of time doing water activities (e.g. you are a swimming coach, you live near the beach and like to swim, or you like venturing into the outdoors). 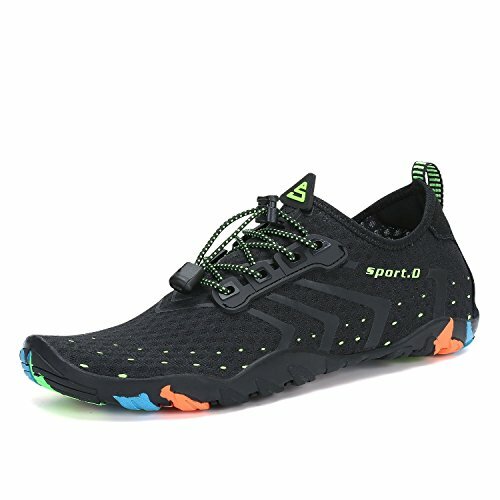 Is it okay to wear water shoes even though there’s no water in the area? It is. There’s no law against wearing them and you might even benefit from the secure fit and improved traction. Should I wear water shoes during hiking? Many hiking shoes share characteristics with water shoes for one reason. When hiking, you are exposed to the elements. In addition, you might have to go through a river or lake to get to the other side of the trail. It is a must to wear water shoes suitable for hiking when you need to trudge through a lot of wet areas. Your water shoes can protect you from the elements and provide good traction so you can keep going. Will my feet remain dry while wearing water shoes? Your feet will definitely get wet when you wear water shoes. Some designs even have holes in them. Understand that water shoes are meant to protect your feet from dangers associated with water such as slippery surfaces – they are not impervious to water. Don’t worry. Your feet may get wet, but they won’t remain wet for a long time because your water shoes can dry quickly. Are there cases where it’s best not to wear water shoes? When it’s too cold, it is wise to go back to the usual footwear you use for winter. Even the water shoe’s material that can provide insulation and are quick to dry may not be able to give you the kind of warmth you expect during winter. Are expensive water shoes better than the cheap ones? Not always. You need to check the traction, comfort, material, level of protection, and other things that you require for your particular use. If you need to go through rocky beaches or other bodies of water, you may want to consider wearing something with thick, flexible soles. If you are going to walk on slippery surfaces, you may want to buy something with better traction. 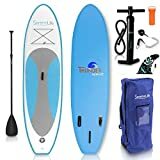 There are affordable water shoes that can give you the things you need better than the expensive ones. 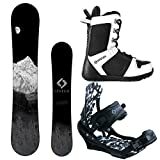 There are also costly shoes that provide all the things that you may want from a pair of water shoes. Water shoes provide protection that regular shoes cannot. They are flexible, comfortable and they can keep you warm. The best part is that they don’t look bad anymore. Many water shoes today look stylish. There is no pair of water shoes that fits everyone. You need to be certain about where and what you’ll be using the water shoes for, regardless of the price. If you have a limited budget, it is prudent to settle for the next best thing. Don’t just look at the price. You need to know what you want to get from your water shoes. As we examined our top picks to find a clear winner, we ​choose the ​ Merrell Men's All Out Blaze Sieve​ and the RYKA Women's Hydro Sport​ as the best water shoes for rocky beaches. Both pairs are pricier but they surpass the others in the list in quality and build. They provide ample protection, traction, comfort, ease and convenience, and drying speed.